Best for... Fast and effective styling on mid to long hair. 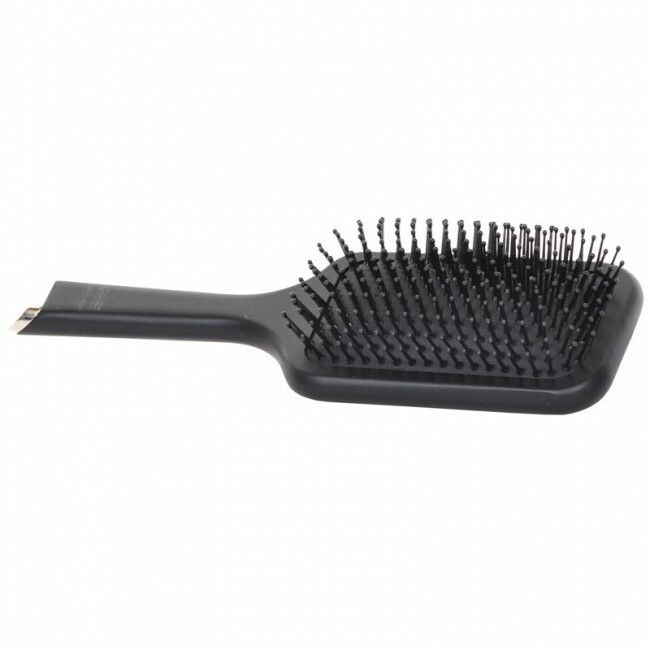 Use the paddle brush to detangle longer lengths without generating static; create straight-and sleek blow-dries; smooth hair into ponytails and updos. To use... For a quick and sleek blow-dry, blast dry hair until 80% dry. Brush hair from root to tip using swift strokes while following the direction of your brush with your hairdryer. Ensure your dryer’s nozzle is on to concentrate the air flow. Style tip... For a straight fringe that sits perfectly, alternate between brushing to the left and right with the paddle brush, while blasting with your dryer on a low heat and medium speed setting.